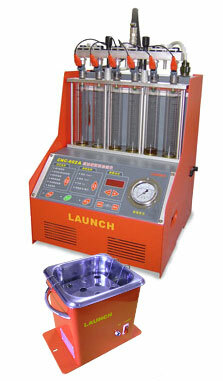 Injector test / cleaning stand for 6 injectors. For table use. Allows clean the cars fuel system and injectors without removing from the car. Ultrasonic bath and adapters for cleaning on the car included. 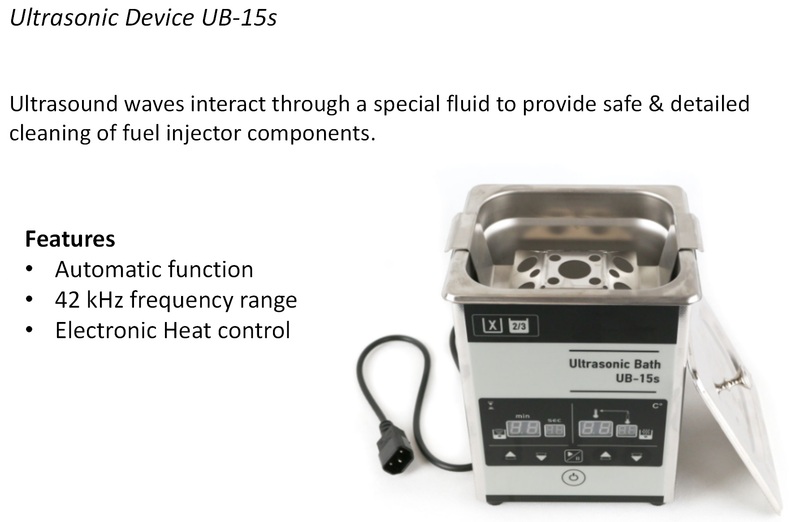 LAUNCH ultrasound cleaner, volume 1,2 l., 35 KHz, 100W. 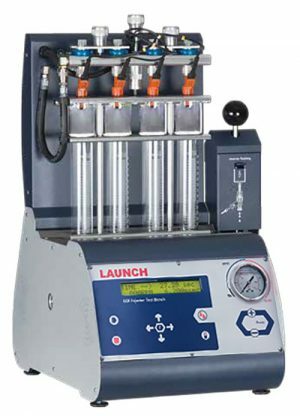 Classic diesel system (with high pression pump) injector tester - test of start of injection, of tightness of injectors cone needle (injectors P,R,S,T with holders 0-40 MPa). Max pressure 600 bar. 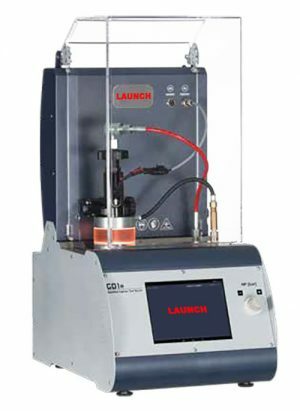 Professional low-pressure GDI injector test bench. 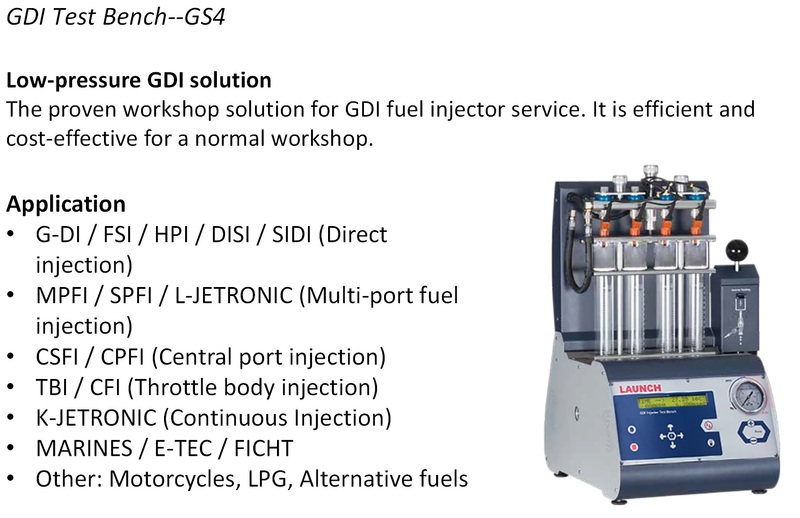 The proven workshop solution for GDI fuel injector service. It is efficient and cost-effective for a normal workshop. 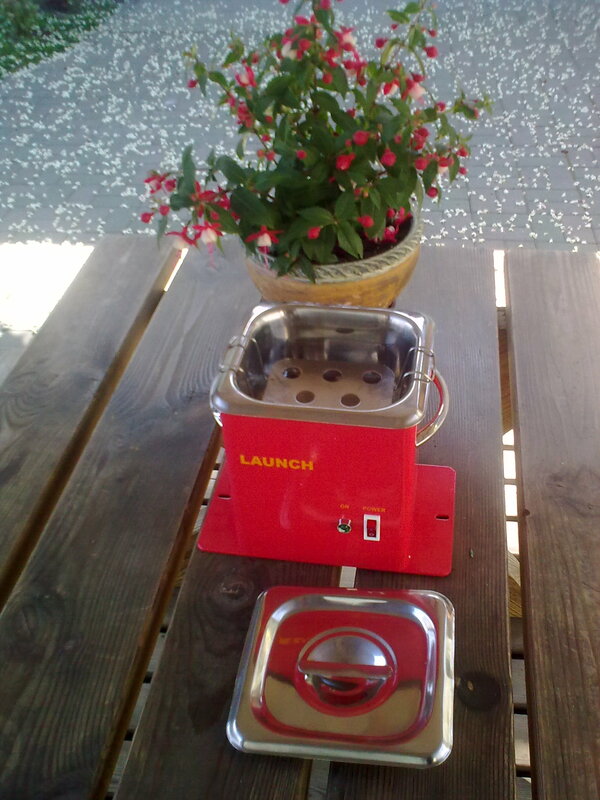 Ultrasonic bath and adapters included. 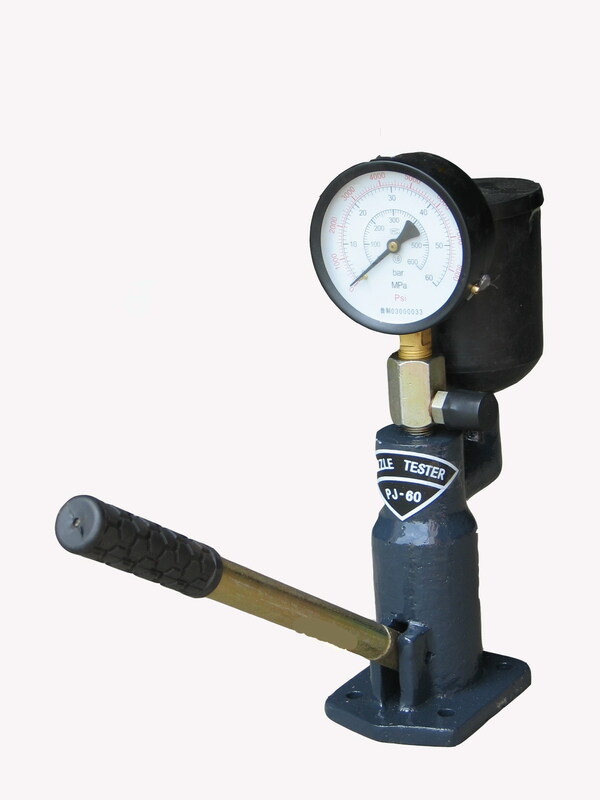 Professional high-pressure GDI test solution with LCD colour touch-screen. 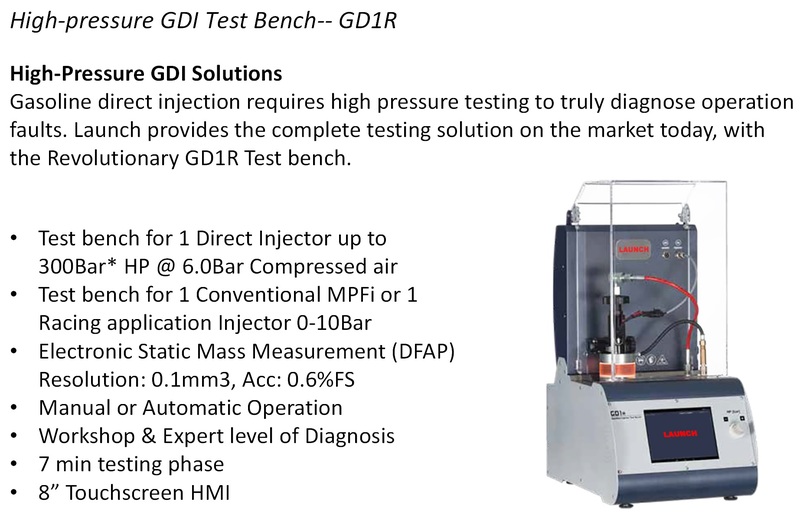 Gasoline direct injection requires high pressure testing to truly diagnose operation faults, witch only can be reached with special test bench as GD1R. 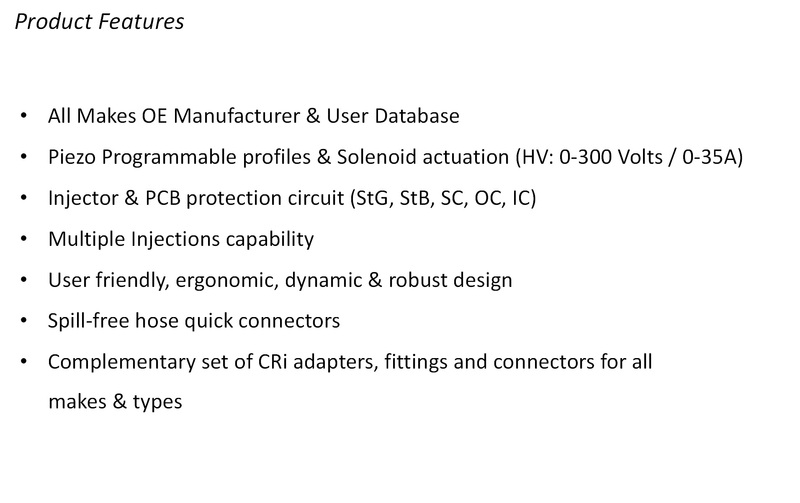 Injector adapters, fittings and connectors for different makes of injectors are included. 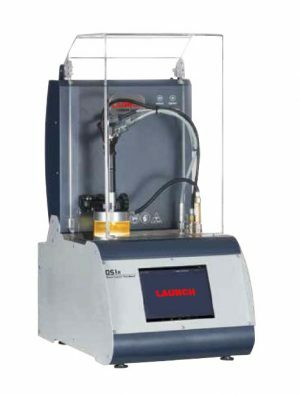 CRDi diesel injector diagnostic and test bench with LCD colour touch-screen. 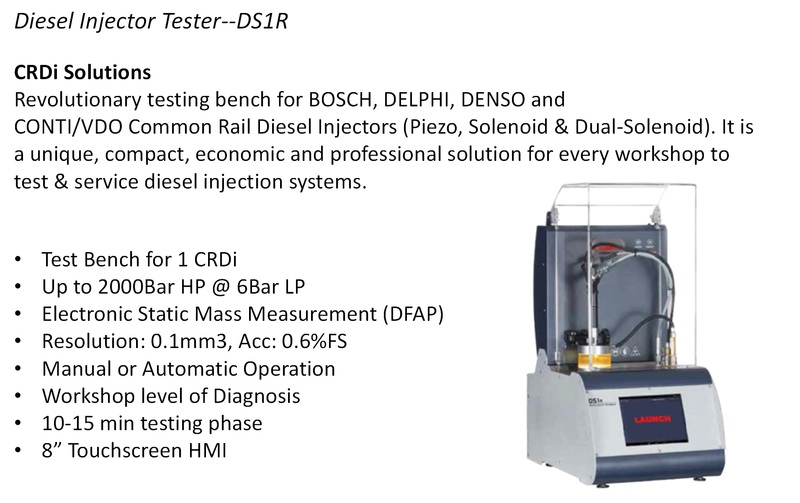 Revolutionary testing bench for BOSCH, DELPHI, DENSO and CONTI/VDO Common Rail Diesel Injectors (piezo, solenoid & dual-Solenoid). 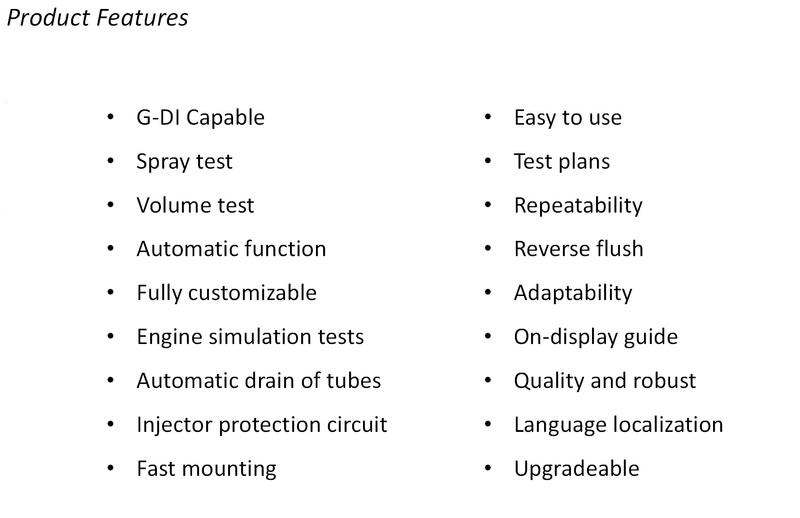 It is a unique, compact, economic and professional solution for every workshop to test & service diesel injection systems. 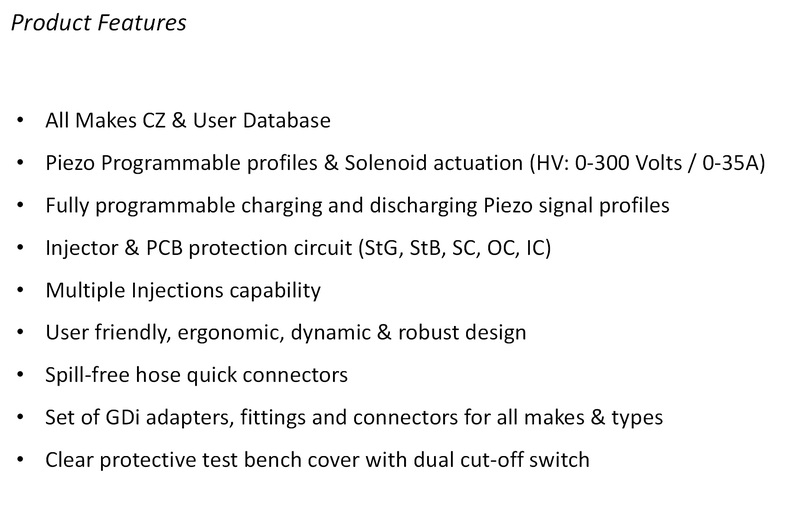 Injector adapters, fittings and connectors for different makes of injectors are included.